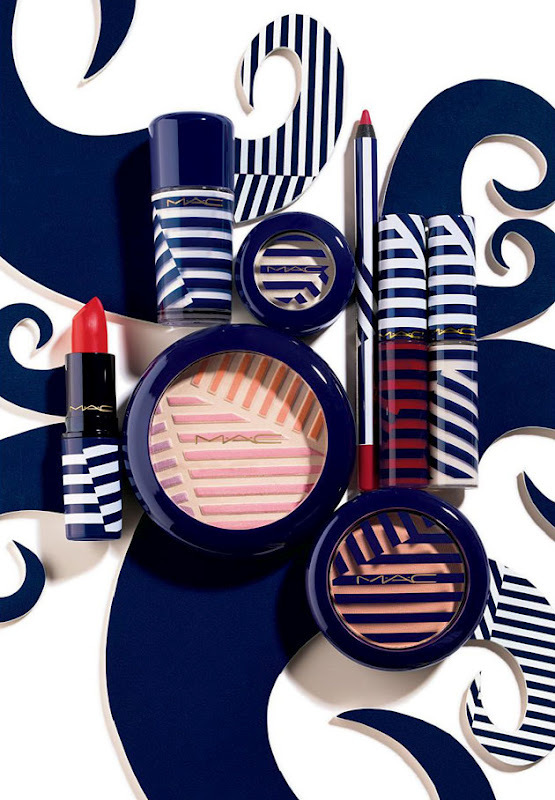 From May 2012 MAC's latest collection 'Hey Sailor' will be available and running for 8 weeks. Featuring everything from Eyeshadows to bronzers make sure MAC is your port of call for this Summers shades. I love the nautical collection and ordered an eyeshadow in 'Crystal Avalance' as soon as I heard the collection had gone live on MAC's online store. 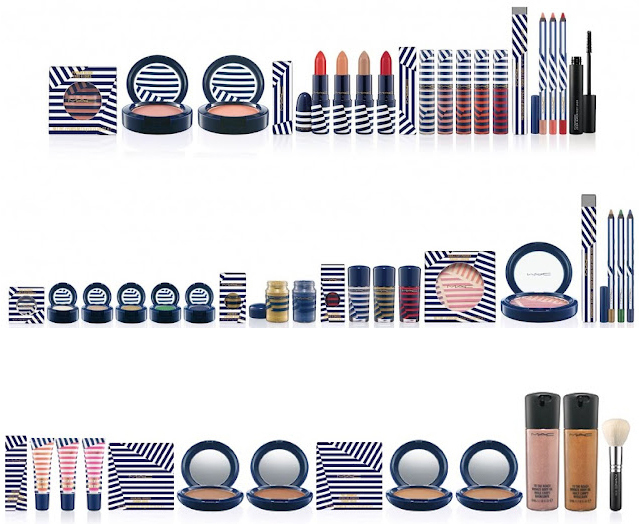 I was drawn in by the vintage inspired colours and blue stripy packaging, I just can't resist a MAC collection. 'Set sail this Summer with a colour collection inspired by the glam of vintage pin up girls. will you be purchasing anything from the range? I'm definitely feeling the vinatge nautical vibes and can't wait to swatch some of these babies!